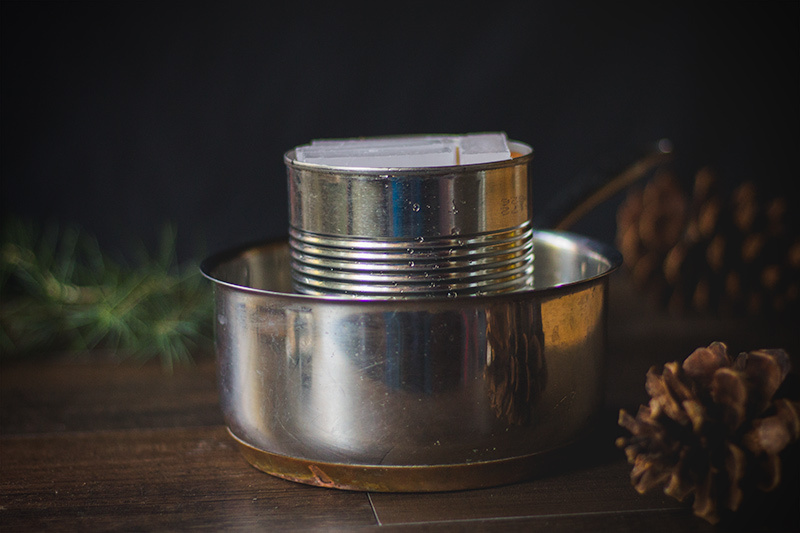 These campfire starters make a great gift for anyone who loves camping. 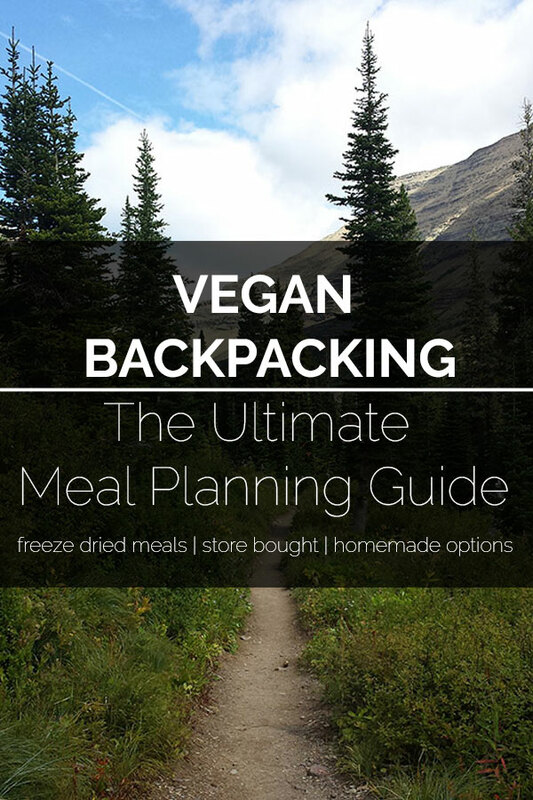 They are very inexpensive and easy to make. Cover your counter with newspaper to protect it from any wax that might drip. 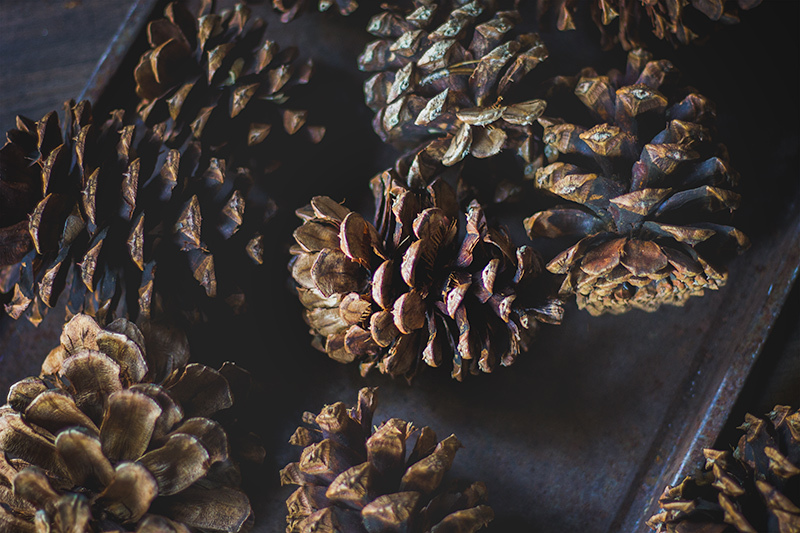 Lay out a piece of parchment paper large enough for all of the pinecones to fit on. Place the wax into the empty can. Add about an inch of water to the pot and put the can of wax in the middle of it. Place over med heat until all of the wax is melted. Reduce to low heat. Cut the paper widthwise into 13 strips. Twist each paper strip until it resembles a piece of string. 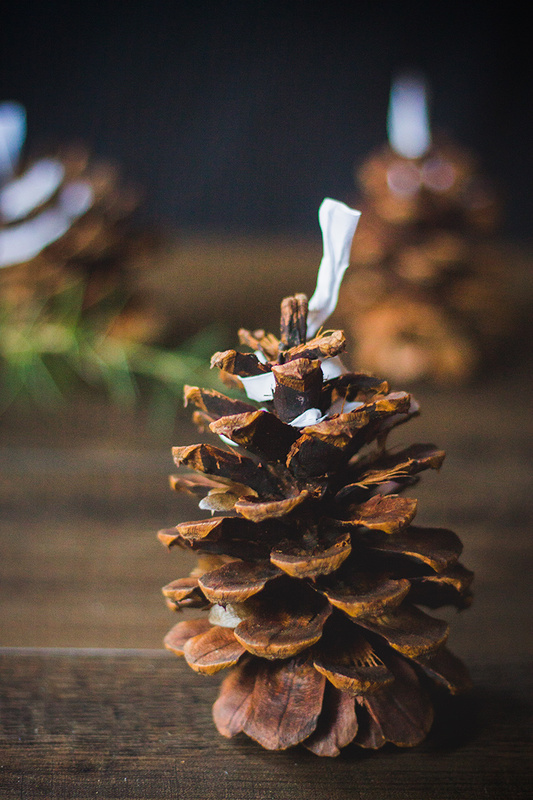 Starting at the top, carefully wrap the paper around each pinecone, getting as close to the middle as possible. 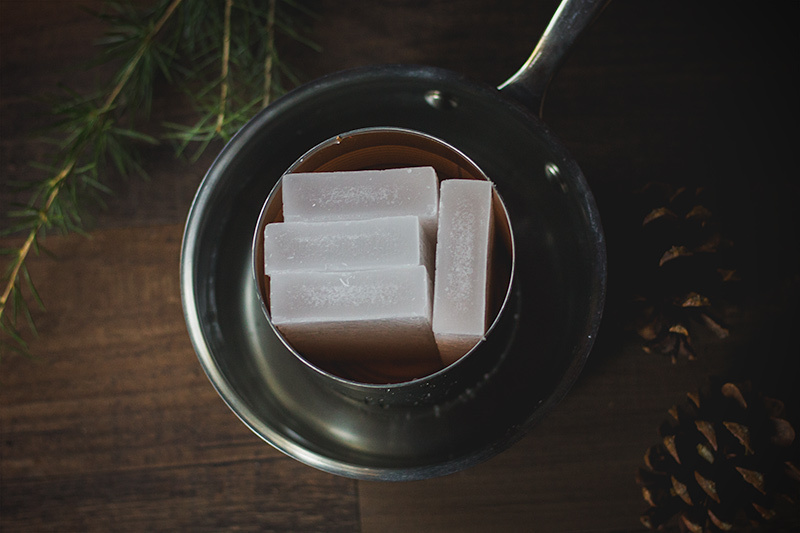 Leave 1/2 at the top to use as a wick. 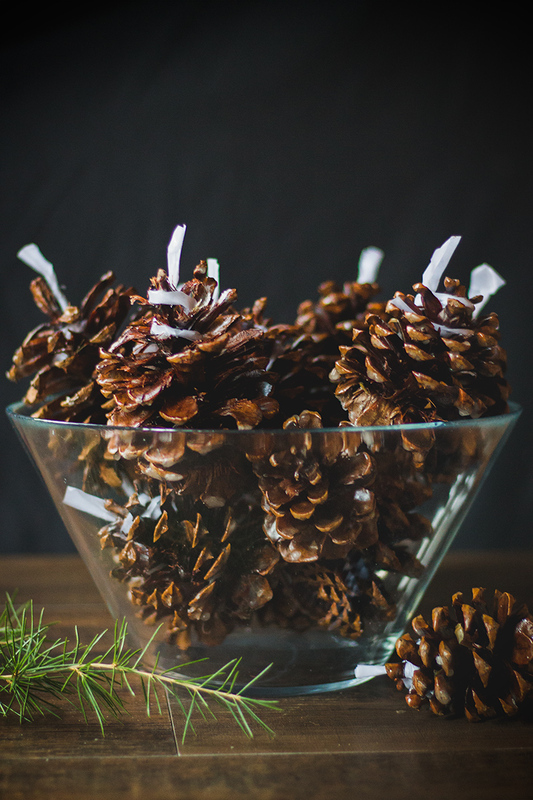 Hold the pinecones by the bottom and carefully dip the end with the wick into the wax. Set them on the parchment paper to cool. Once they’re cool enough to handle, hold them by the wick end and dip the bottom half into the wax. Repeat several times until each pinecone is well coated. To use, place the pinecone near the kindling and light the paper wick.